Let's face it, most of your measuring requirements are for small items that are less than 4", right? 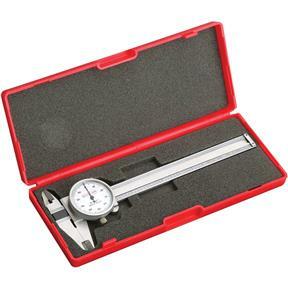 That's why this 4" Dial Caliper is such a great deal; compact size and special price. 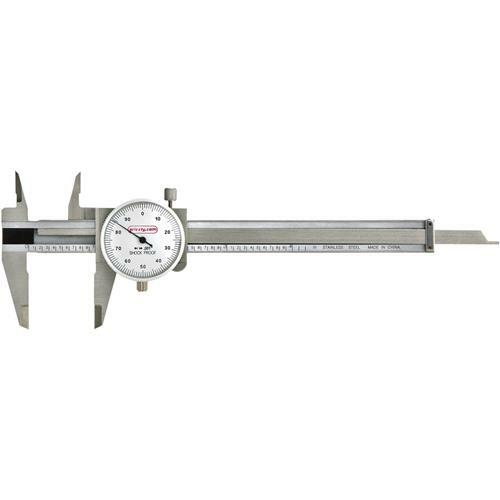 This Dial Caliper with .001" graduations and .100" per revolution features hardened knife edges, inside and outside calipers plus step gauge and knurled thumb roll. Stainless steel construction. Shock proof and dust proof. I bought this caliper to use specifically on a small lathe. I can get it into tight spaces when needed and not worry about compromising accuracy. While digital units are nice, with a mechanical dial I don't have to worry about dead batteries when I need it the most. My only gripe is the movement is a little stiff but i'm sure this will loosen up with time. Plain-Jane, reliable, and accurate. Nothing fancy, but it ALWAYS works.